Print a lot of them, glus some small neodymium magnets on one wing and let them fly :) Looks really cool when printed with transparent fillament. Printed without problems, the hindge works great, altough i had to play a little to find the correct shell thickness so that the wings wouldnt be hollow. 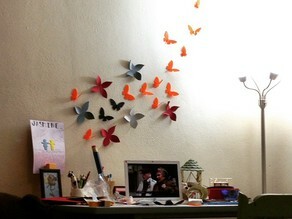 Also sadly the butterfly doesnt stand by itself, just falls on the side. Great design!